The three resources here focus not only on the play itself (via the programme and resource on McKellen/Loncraine’s film) but also on how to approach Shakespeare. Pacino's "Looking for Richard" can be a useful introduction to studying Shakespeare as Pacino tries to find out what is the attraction of Shakespeare, how do you speak the lines, how do you stage the plays. His own confusion can often mirror the confusion that our students sometimes face. 1. Study guide to accompany the 1995 filmed version as well as the programme. A 25 minute programme looking at the Ian McKellen filmed version of the play (1995). The programme features Ian McKellen and director Richard Loncraine as well as a range of academics who discuss various aspects of the play itself and approaches to filming the play. To buy a copy of the feature film from Amazon click the button below. 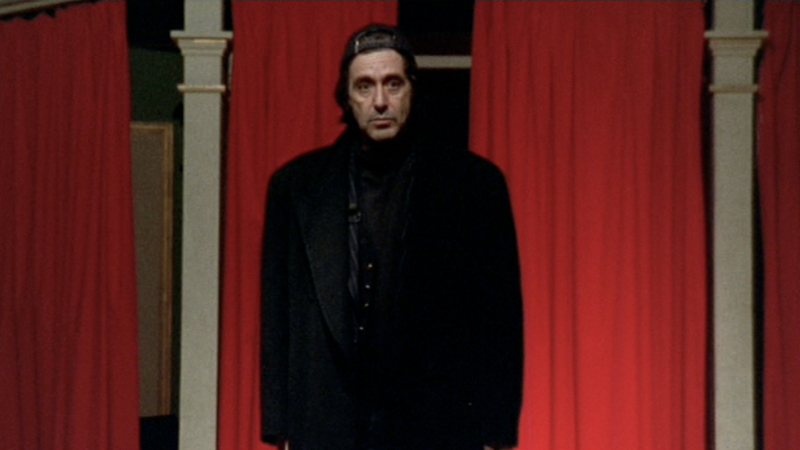 Study guide to accompany the documentary by Al Pacino in which he also stars, is an exploration of several topics: Shakespeare and Richard III, the impulse to act, the way actors work and Pacino's single-minded effort to make the Bard accessible to all audiences and not just the few. Over the course of the film, Pacino alternately discusses the role and the text, roams Manhattan talking about Shakespeare with everyone from scholars to street people and re-creates scenes from the play. He assembles a cast that includes Kevin Spacey, Winona Ryder, Estelle Parsons and Alec Baldwin to perform the scenes, slipping back and forth between text and discussion of the play in a way that makes Shakespeare comprehensible and fascinating to viewers who know or care nothing about his writing. To buy a copy of Al Pacino's "Looking for Richard" from Amazon click the button below.